A new ministerial decree setting the conditions for affixing the mark “Halal” on exportable food products is being validated by government, APS learned from an official at the Ministry of Commerce. “This measure is mainly related to exportable products as required by foreign customers. And we will develop an official certificate recognized internationally,” the same source said. This text provides the establishment of a public body responsible for the certification of products “Halal” and the installation of a National Committee for monitoring of the certification process and the application of “Halal ” mark on products to be defined by this Committee. The decree was developed by five ministries; the Ministries of Trade, Agriculture, Industry, Religious Affairs and Health. 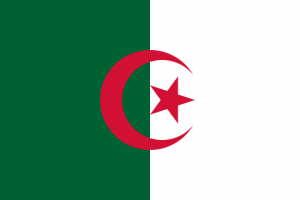 The Algerian Institute for Standardization (IANOR) will be responsible for overseeing the mention of this certification process mandated by the provisions of Decree 13/378 concerning consumer information. Once the decree is validated and published in the official Gazzet, Algeria then will officially have a body responsible for the certification of Halal products.